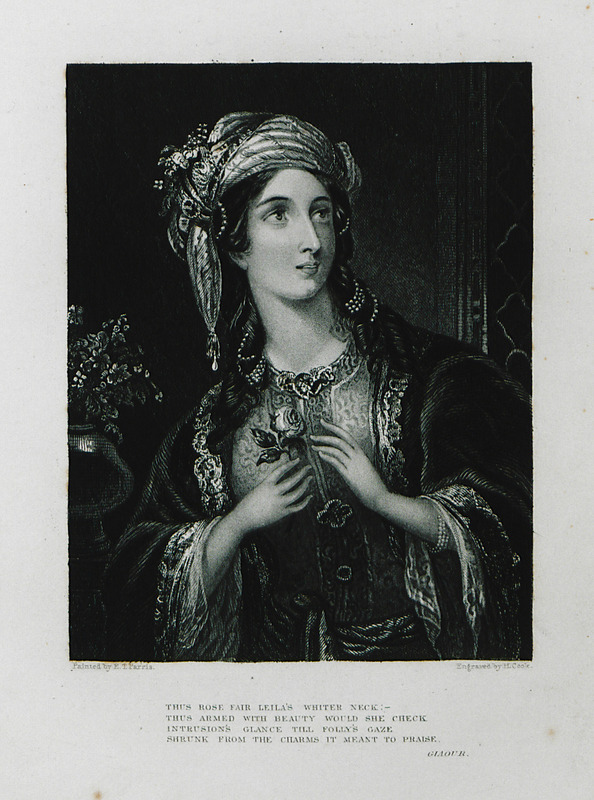 Illustration for the poem of Lord Byron "The Giaour": Portrait of Greek woman from Peloponnese. 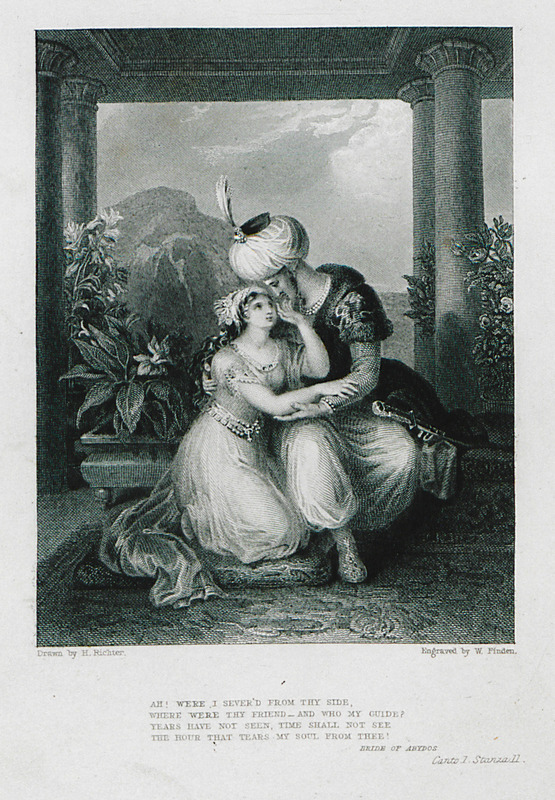 Illustration for the poem of Lord Byron "The Bride of Abydos": Ottoman prince with Greek slave in the Harem. 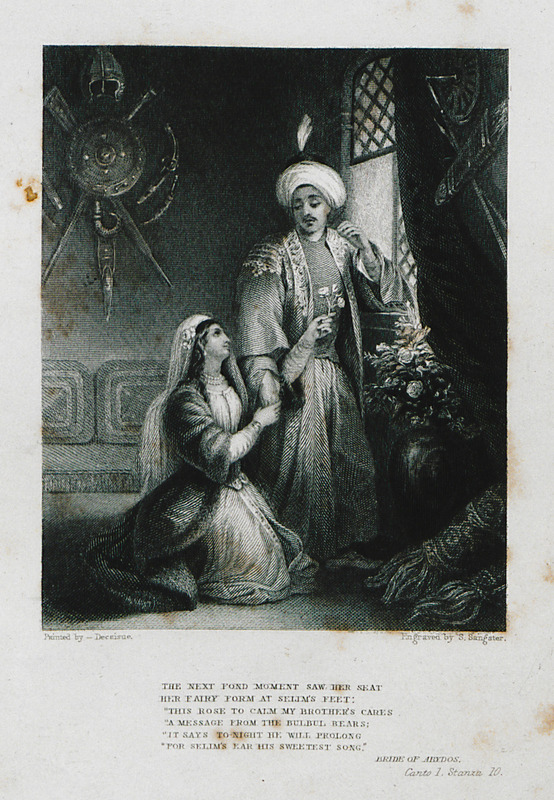 Illustration for the poem of Lord Byron "The Bride of Abydos": Ottoman prince with odalisque in the Harem . 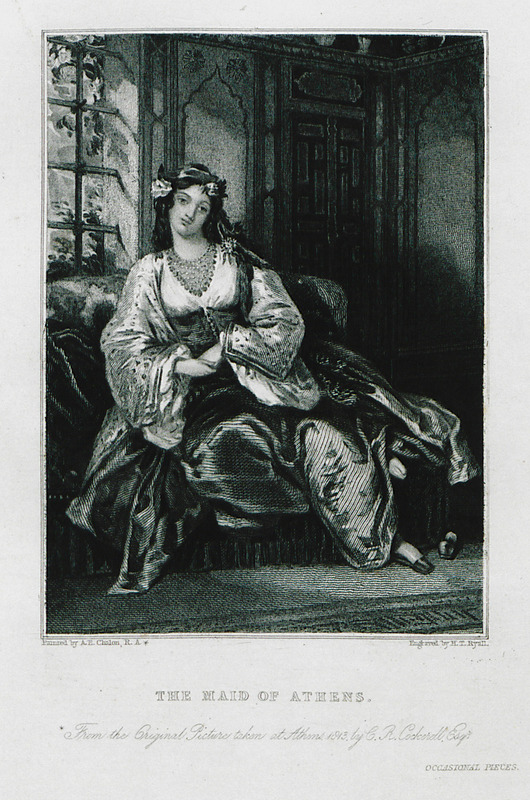 Illustration for the poem of Lord Byron "The Corsair": Greek slave girl. 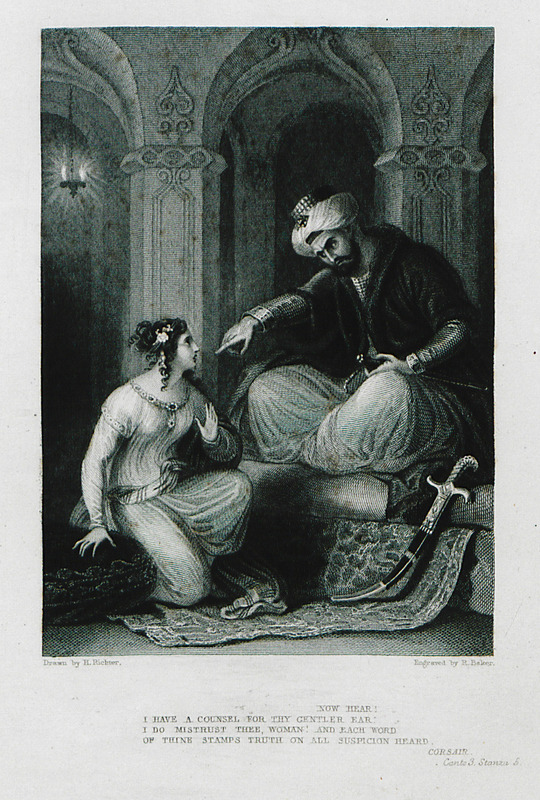 Illustration for the poem of Lord Byron "The Corsair": Greek slave and an Ottoman Pasha. 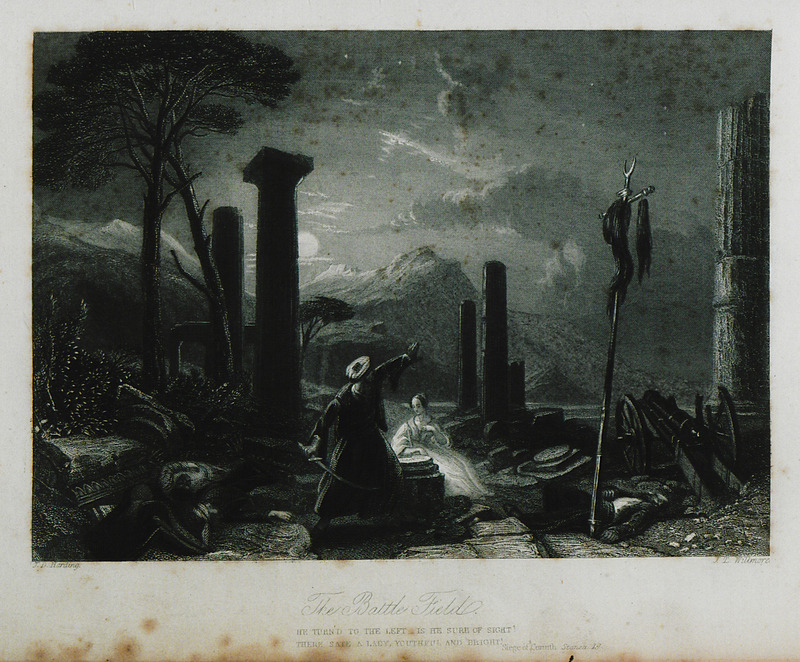 Illustration for the poem of Lord Byron "The Siege of Corinth": Ottoman official and Greek slave girl at the ruins of the Temple of Apollo in Ancient Corinth. 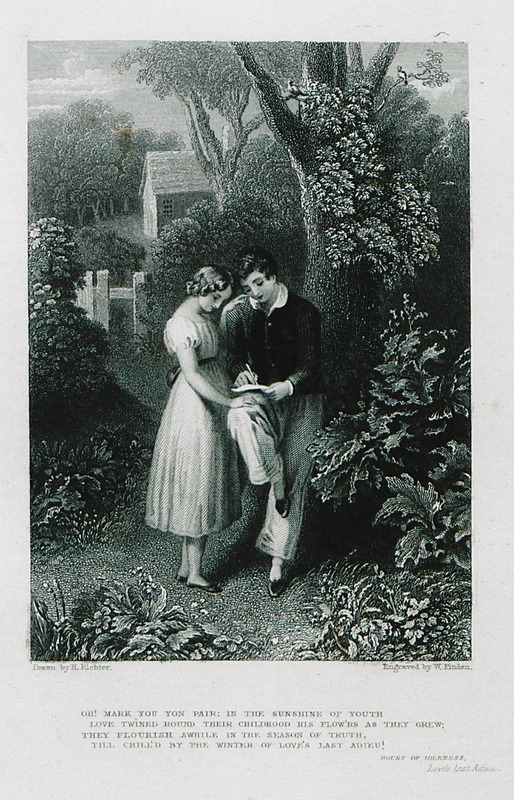 Illustration for the poem of Lord Byron "Parisima": Secret meeting of Parisima, wife of Lord Este, with her adoptive son. 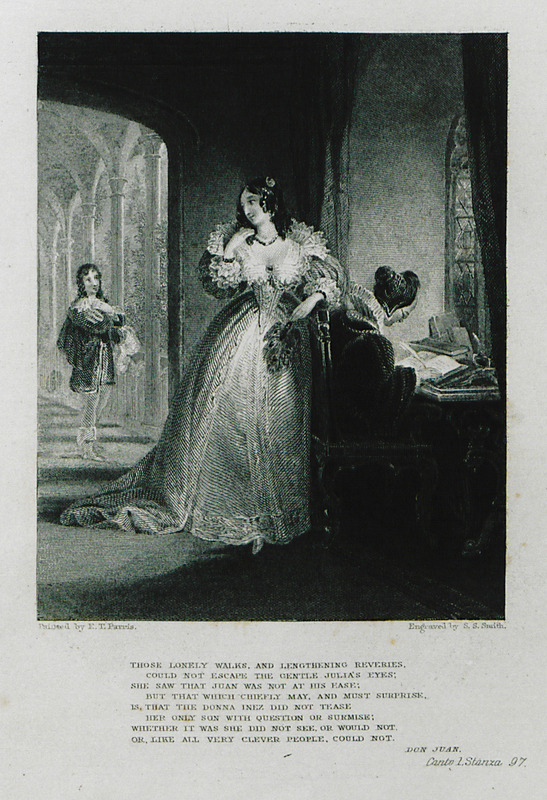 Illustration for the poem of Lord Byron "Parisima": Parisima with her adoptive son and lover in front of her husbant, Lord Este. 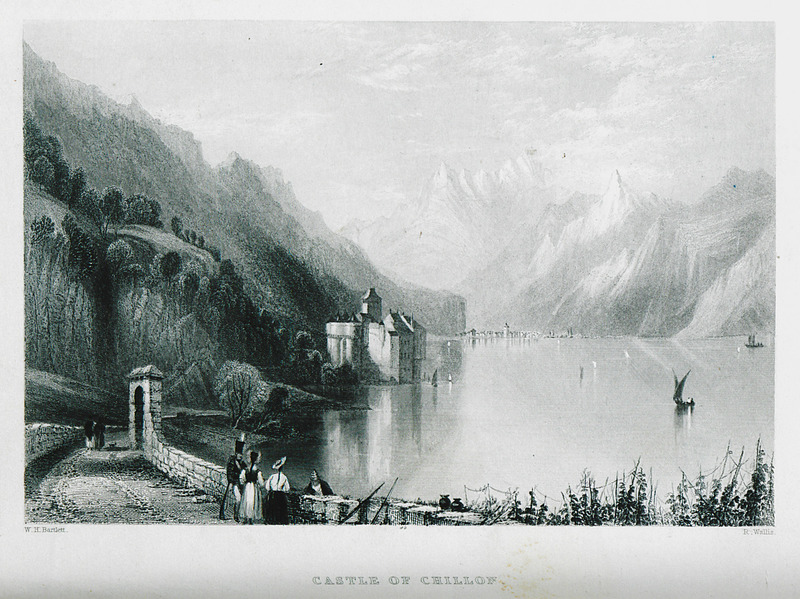 Illustration for the poem of Lord Byron "The Prisoner of Chillon": The Chillon Castle on the shores of Lake Leman in Switzerland. 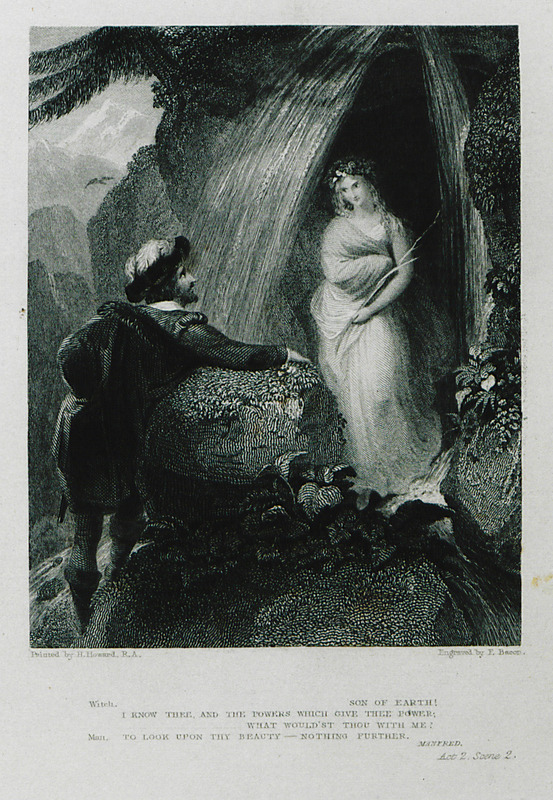 Illustration for the poem of Lord Byron "Manfred". 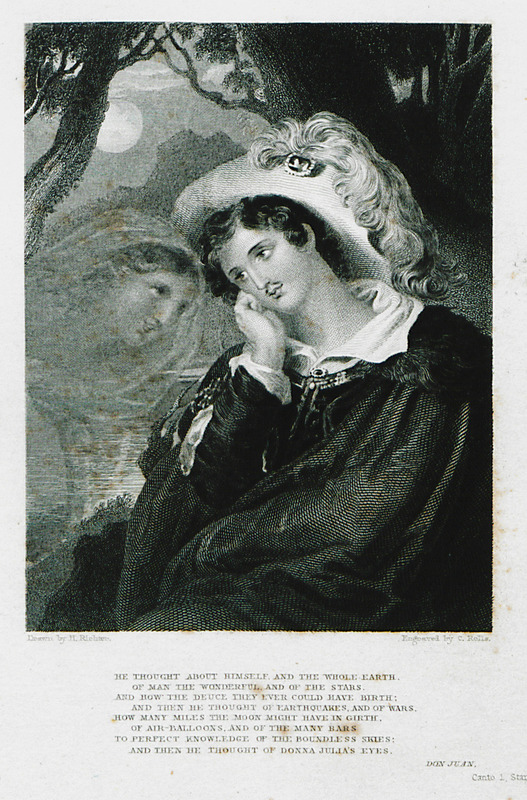 Illustration for the poem of Lord Byron "Hours of Idleness". 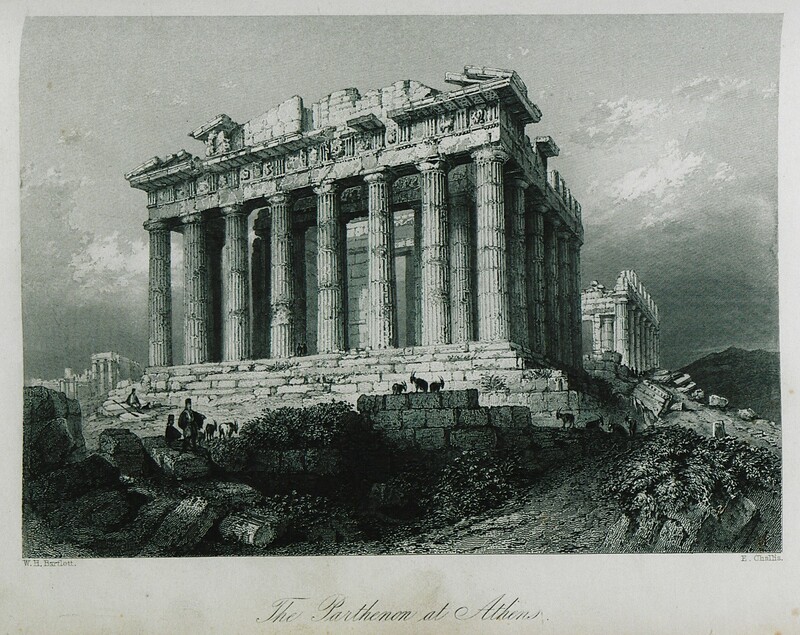 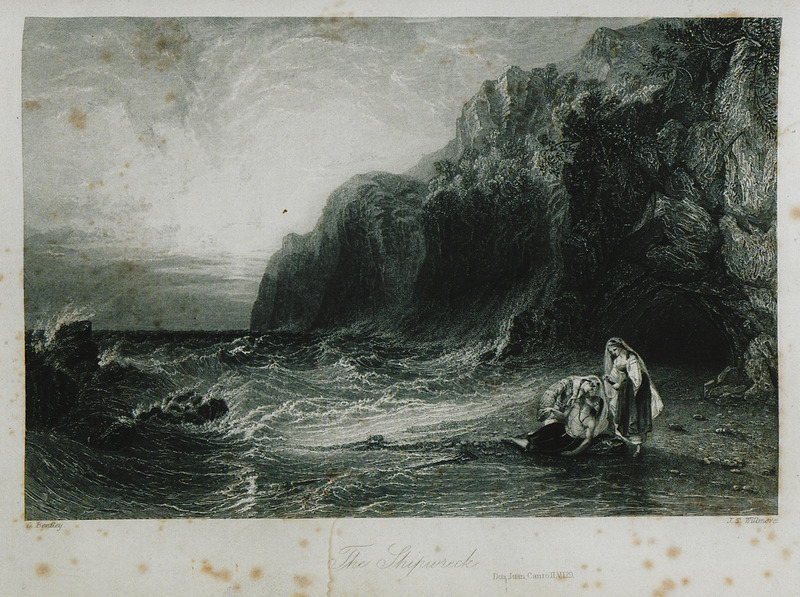 Illustration for the poem of Lord Byron "The Curse of Minerva": The Parthenon. 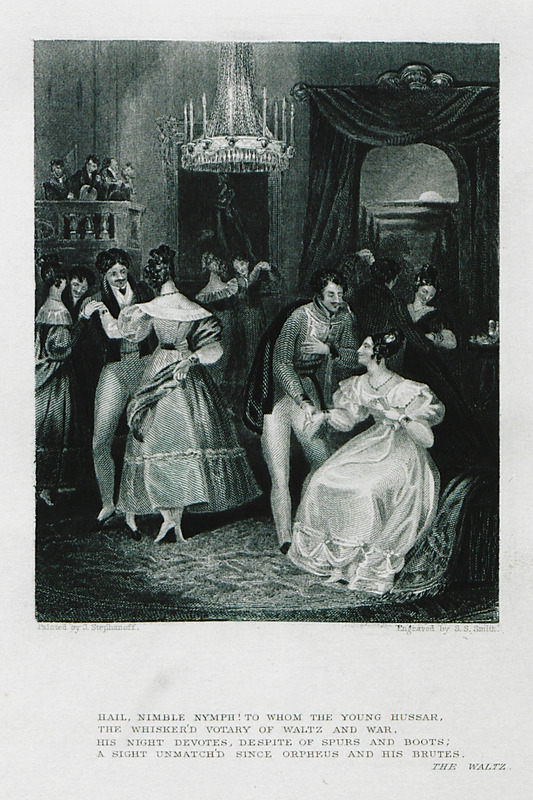 Illustration for the poem of Lord Byron "The Walts": Scene in a salon in London. 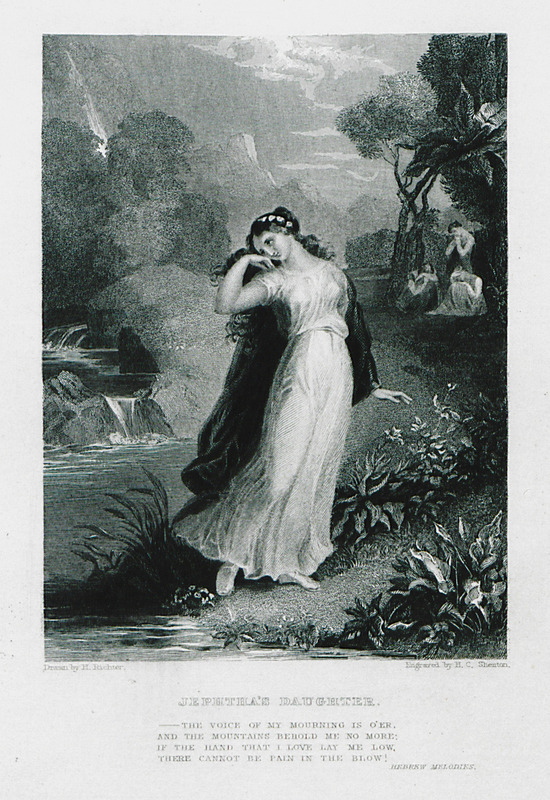 Illustration for the poem of Lord Byron "Hebrew Melodies-She walks in beauty": Jewish girl. 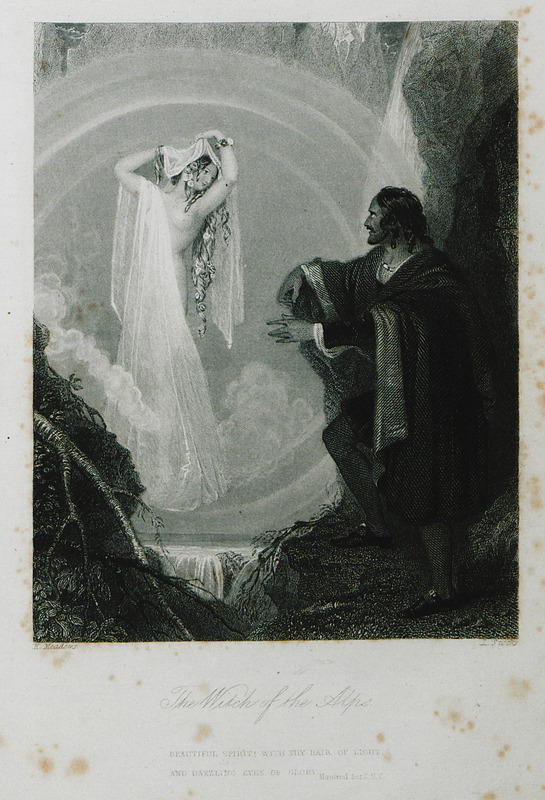 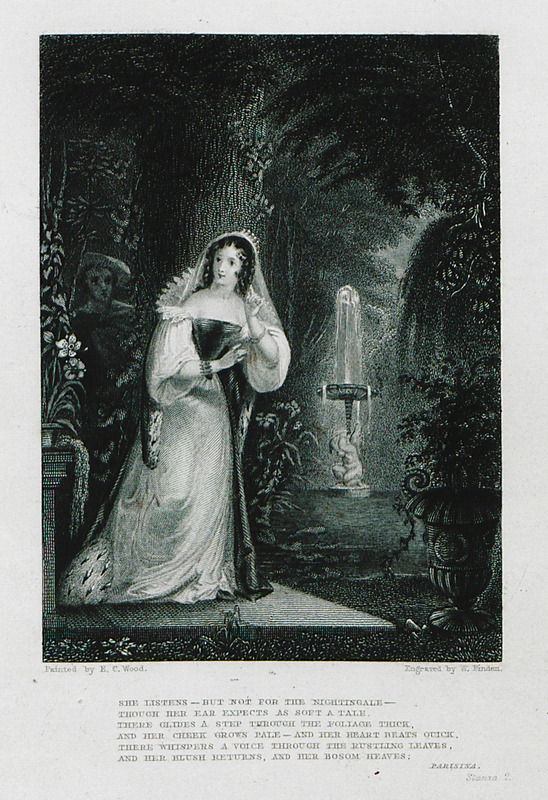 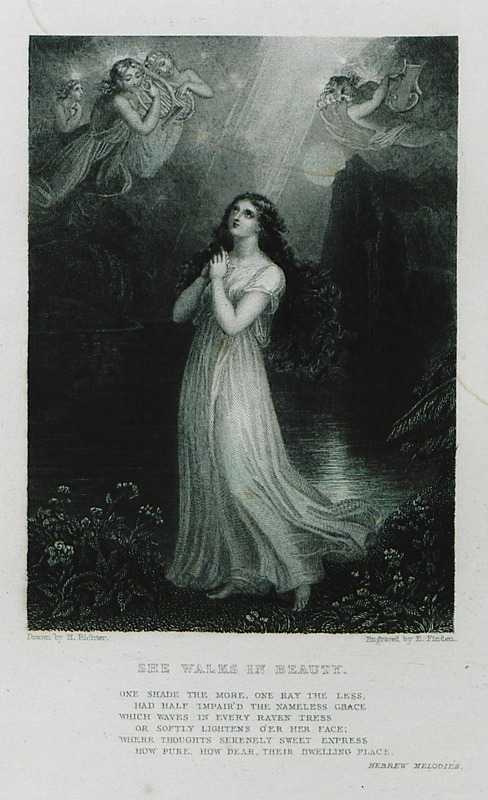 Illustration for the poem of Lord Byron "Hebrew Melodies-Jephtha's daughter": Jewish girl. 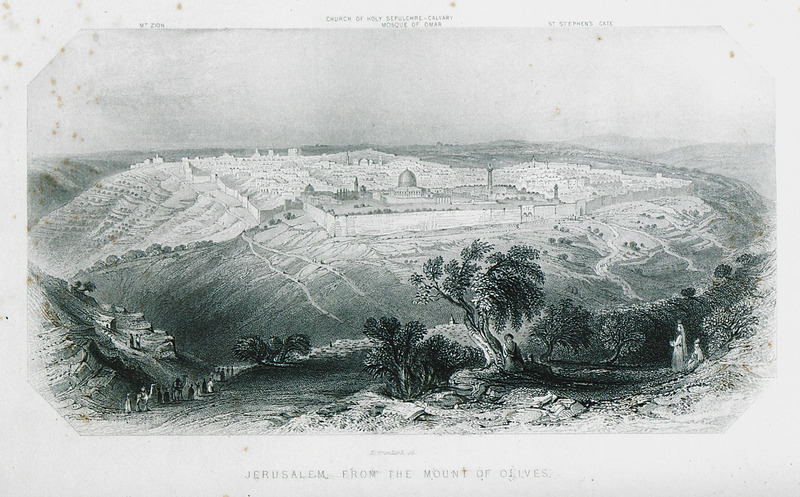 Illustration for the poem of Lord Byron "Hebrew Melodies": View of Jerusalem from the Mount of Olives. 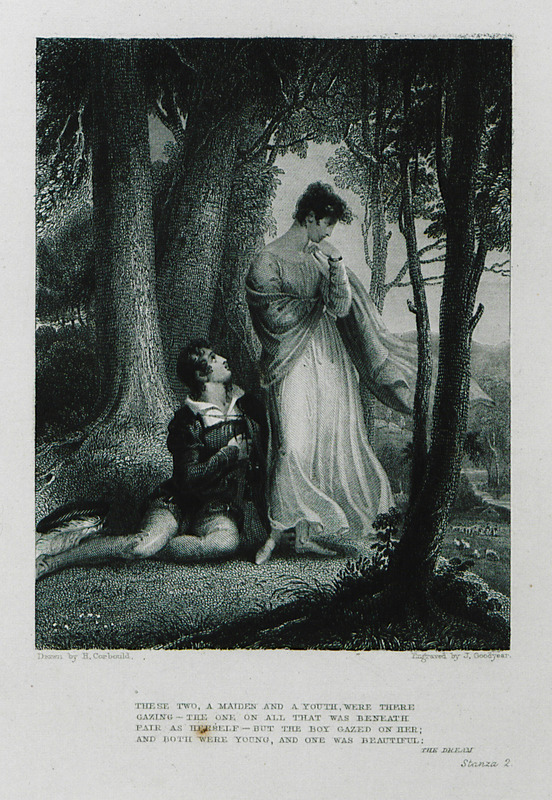 Illustration for the poem of Lord Byron "The Dreams": Young couple in a forest. 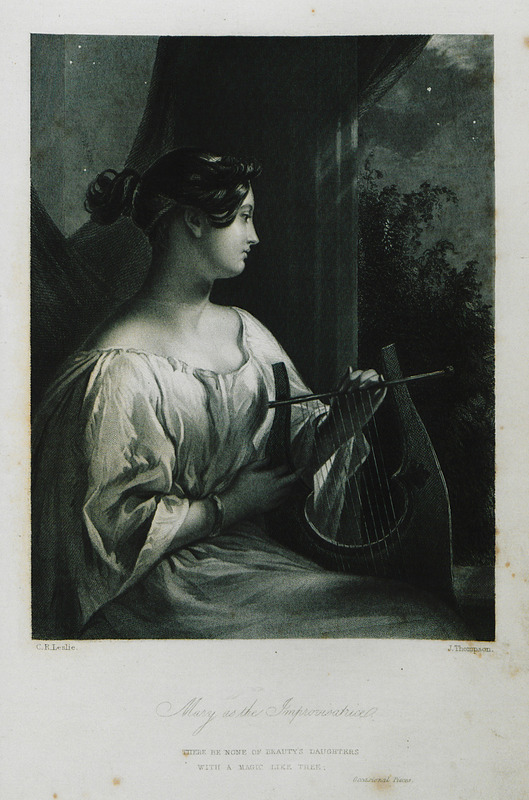 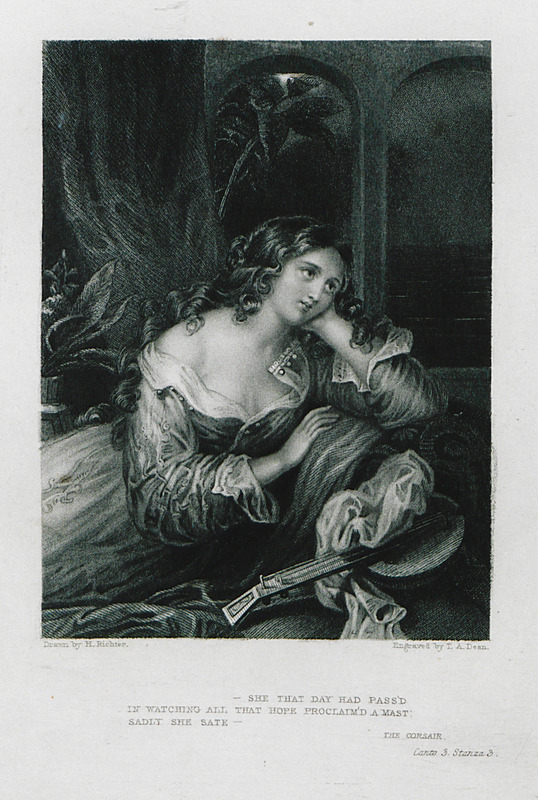 Illustration for the poem of Lord Byron "Stanzas for Music": Woman at window. 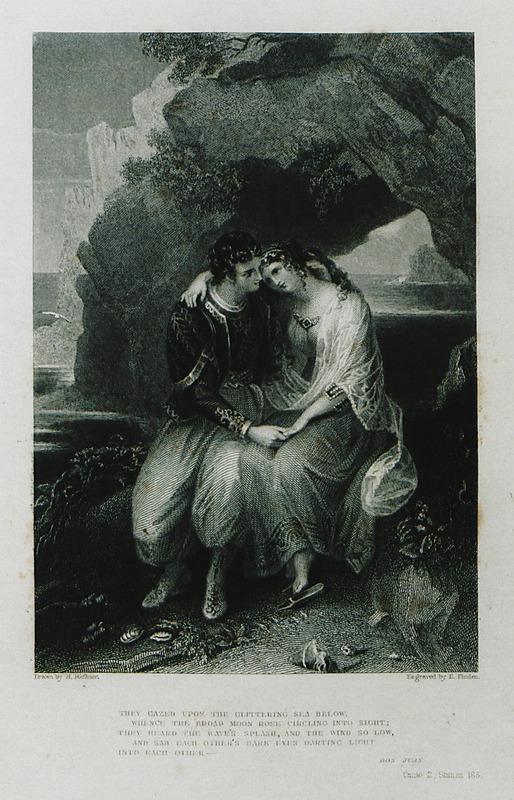 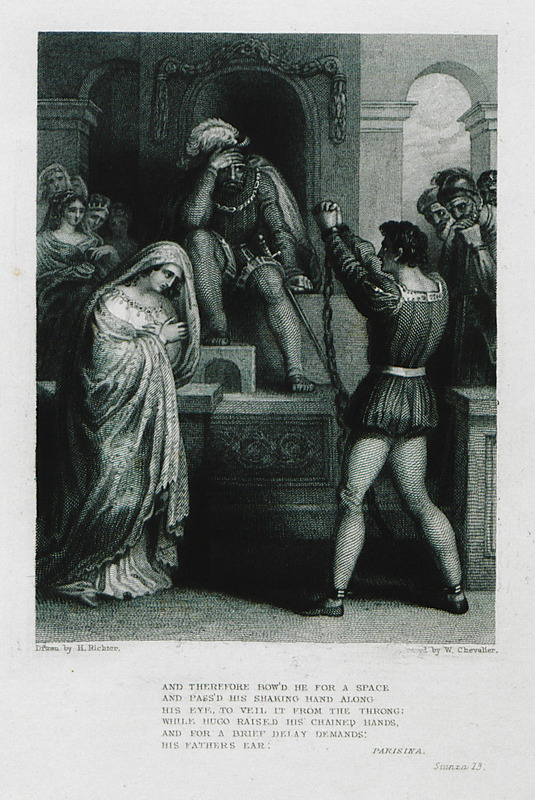 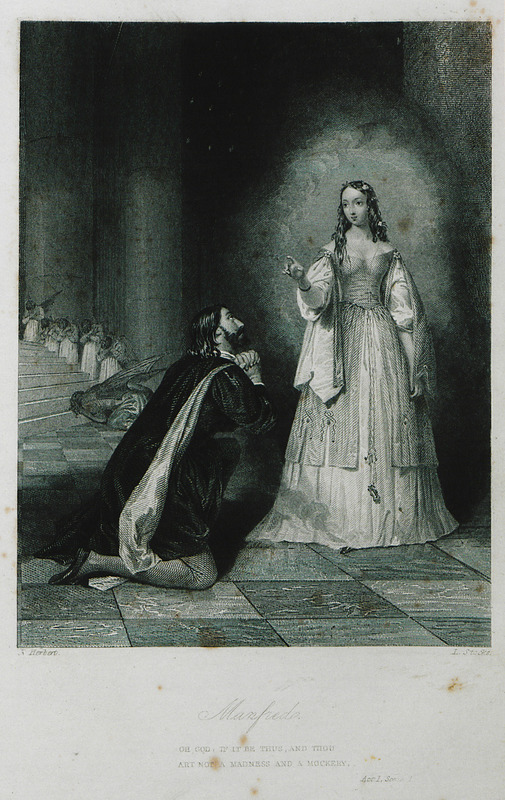 Illustration for the poem of Lord Byron "Don Juan".